Philippines or the Republic of the Philippines, as it is officially known. It is a country located in Southeast Asia in west Pacific Ocean. It is an archipelago that has 7,107 islands. Its capital of Philippines is Metro Manila. During the Spanish era, there seem to have extensive demand on people of christen to convert into other religion. But Philippines are the only Christian nation in Asia. Around 82% of population follows the Roman Catholic faith. 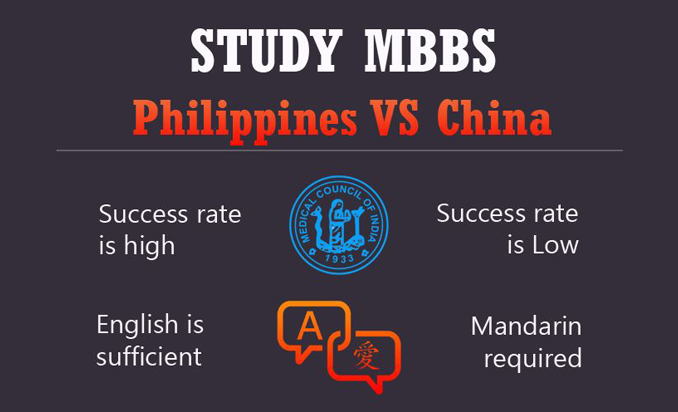 Studying MBBS in Philippines is relatively very inexpensive as compared to the other countries. The country has an impressive literacy rate of almost 93%. The standard of medical education in Philippines is very high with top class infrastructure; the degree awarded by the medical Universities of Philippines is recognized by MCI and WHO. All the Medical Colleges of Philippines follow the US pattern of study as a result the students who pass from the colleges have a better chance of clearing the USMLE. In USA, out of 10 doctors at least 1 of them is from the Pilipino origin. The language of communication in Philippines is English which makes it very convenient for foreign students to communicate and also saves the time of learning any additional foreign language. Philippine is the 1st democratic country in Asia. Philippine is the world largest exporter of Nurses. Filipinos are the largest Asian immigrant community in USA. Philippine is the 3rd largest English-speaking nation in the world. Philippine is the world’s 2nd largest exporter of Physicians after India. Philippine is one of the world’s largest exporters of Marine Engineering & Ship Captains. The education system in Philippines is based upon American system of education which is highly advanced and modern. MBBS in Philippines is taught in English Medium. Philippines is an English speaking country. Students need not learn local language. The procedure for MBBS Admission in Philippines is very simple and easy for Indian students. Duration of MBBS in Philippines for Indian students is 5 years in Top Medical Universities of Philippines. MBBS degree from Philippines is recognized worldwide. MCI also recognizes MBBS degree from Philippines. MBBS course in Philippines is reasonably priced and affordable for Indian students. MBBS admission in Philippines is without any donation. 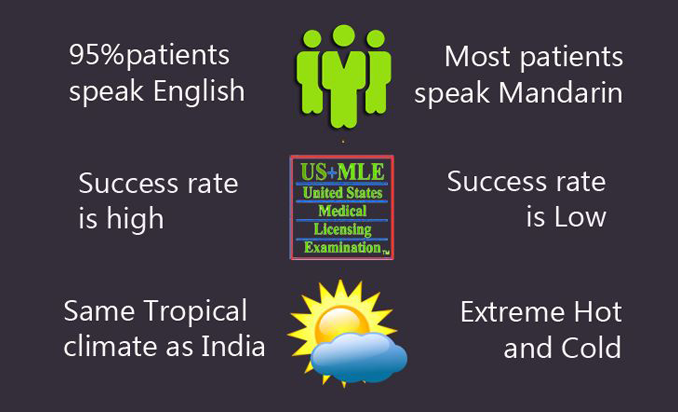 Since MBBS in Philippines follows American curriculum, Indians students get a chance to get free coaching for USMLE. This facility is provided by some Universities only. MBBS in Philippines is recognized by MCI (Medical Council of India). MCI Recognized MBBS Colleges in Philippines include Our Lady of Fatima University, AMA School of Medicine amongst others. Indian students studying MBBS in Philippines get very good excposure to patientsduring their clinical training. MBBS degree from Philippines is widely respected in India and students get job easily after clearing MCI Screening Test. MBBS in Philippines for Indian students does not require the candidate to have IELTS or TOEFL score. Philippines has some of the best Medical Colleges in the world running exclusive classes for USA citizens. Students need submit a letter of acceptance for the course they are opting for. Students should keep all education certificates and transcripts are very important. Receipt of tuition fees should be kept after payment of tuition fees. Valid passport and evidence of funds are essential. Visa should be registered soon after arriving to Russia. Student can extend their visa till the time they need to complete their education. Living cost in Philippines is relatively low which makes it easy for students to live and study there with little help from home. At the Philippines you will get a complete array of healthy and hygienic Indian food from our canteens inclusive of Gujarati, Punjabi, and South Indian. International students use Western union money transfer to receive Money transferred from home. Students are requested to get cash declared by customs at the airport. Rather than cash students can also use bank to pay the tuition fees. Students who will complete 17 years before or after 31st December can apply for admission. Students should obtain 50% marks in 12th standard exam. Those students belonging to SC/ST and OBC category are eligible having 40% marks in 12th standard exam. Why should I study in Philippines? Affordable fees and living cost. How is Medical education in Philippines? Philippines follow American system of education. As Philippines was a Colony of USA for a period of 50 years and number of Doctors and Nurses came to USA. Due to this the education system has brought out one of the best education system in Asia. The medical course in Philippines is called MD program. It is equal to MD program in USA, UK, Australia, Canada, Russia, Ukrine, Germany, and rest of Europe. The MD program is equivalent to MBBS in India by Medical Council of India. What are the eligibility criteria for the course? Candidate from any part of the world is eligible to study in Philippines. For undergraduate Medical program (MBBS), HSSC with min.50% marks in subject like Physics, Chemistry, and Biology. For graduate (MS/MD) undergraduate in medicine with min.50%. For post graduate (PH.D) graduate in Medicine. What is the total duration of course? Total duration of MBBS course is 5.5 years. First 16 month (1 year &amp; 6 month) is called Bachelor of Science program and focuses on building foundation for a strong medical education. Next four year is the core medicine and clinical rotation. Post Graduation is for 3 years that is Residency Training. What is the total fee of this course? The fee varies from each University. You can select the above University and we can provide you the fee structure for each of them. Can a student avail loan facility, what are the procedures? Yes, Students from Countries like India and other countries can avail education loan from any bank. The entire necessary information is provided at the time of enquiry by us. Are the degree offered by foreign Universities recognized and world Health organized? The universities mentioned above are present in WHO are recognized and by CHED (Commission for Higher Education and Development). The degree is recognized by Medical Council of India or MCI as equal to MBBS in India. For how many days is the vacation period there? Can a student Come to home during holidays? The vacation period is of 6- 8 weeks, depending on the batch of student in which admitted he/she can come between July/ August and should inform the university accordingly. How can I get or exchange money while I am in Philippines? You may bring money with you, either in the form of cash or traveller checks. ATM machines are available in banks, or cash advances can be drawn over the counter at most large banks for a transaction charge. Major hotels and most fine restaurants and stores now accept credit cards. Students enrolling for longer courses can open a bank account through the local bank on campus or down town and transfer funds from accounts in their home country. Can I practice in my country after I study medicine from Philippines? 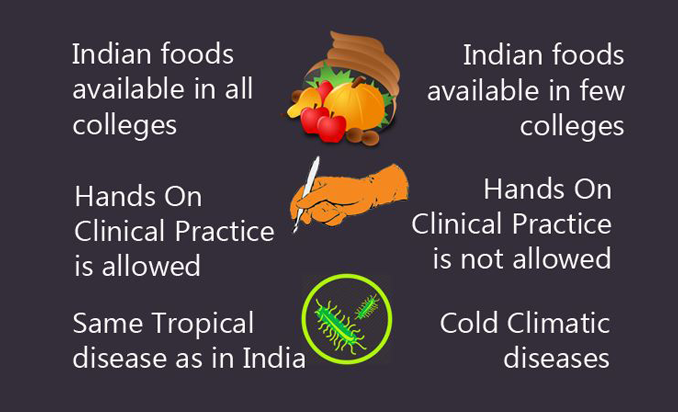 Yes, you can practice in your country, provided you stand by the local governing laws of the medical council or Medical board of your country. All our universities are recognized by the World Health organization, CHED and other bodies. But it is advisable to check with your local medical board for any specific requirements.